Barcelona, Spain. 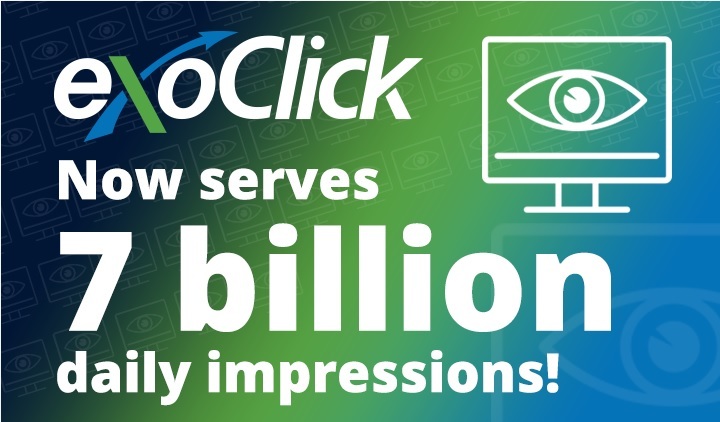 August 22, 2018: ExoClick, the innovative ad company, today announced that it has launched a new interstitial ad format that works on both desktop and mobile. The interstitial is a full page postitial ad that appears between page loads on a website. 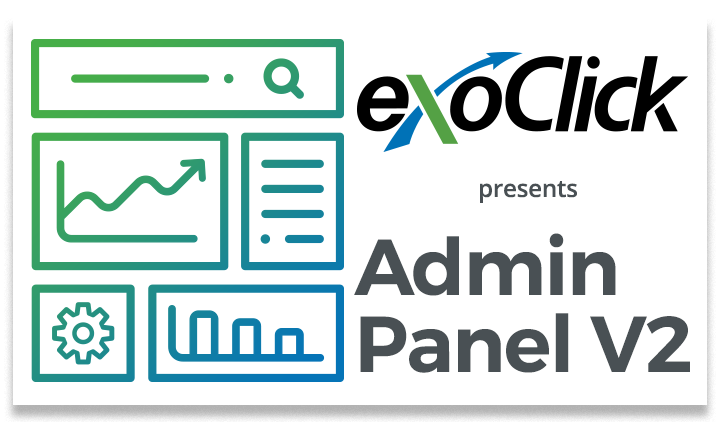 The postitial is triggered when a user clicks on a designated link set by the publisher. The publisher has the choice of setting the trigger on click links only, all links or specific links. Once triggered and shown to the user, the full screen displays the ad. 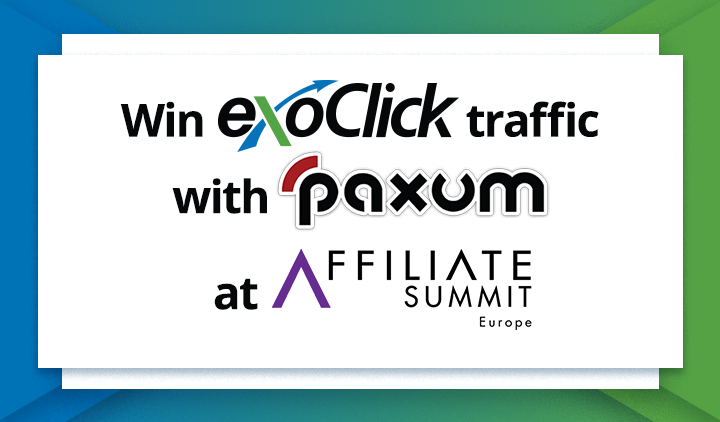 The top right of the format features a ‘skip ad’ option allowing the user to close the interstitial immediately and view the websites content. The new interstitial is available on the CPM payment model and includes pre set and customisable frequency capping options. Interstitials are a popular ad choice because of their size which allows an advertiser to have a larger piece of real estate on a website to promote their product or offer with compelling creatives. 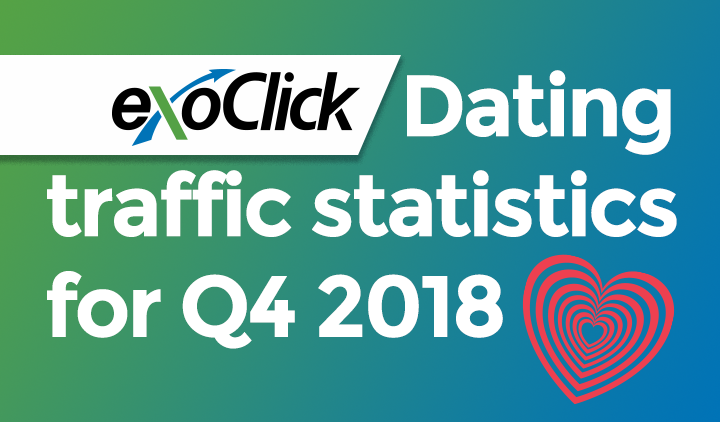 The ad format is totally Google compliant and has been designed to follow the Better Ads Standards regulations because the interstitial can be easily dismissed by the user. 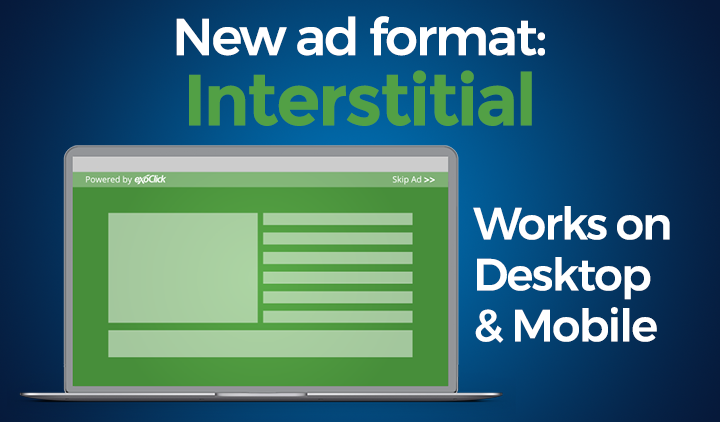 Advertisers can select the interstitial under New Campaign > General Targeting > Ad Format. 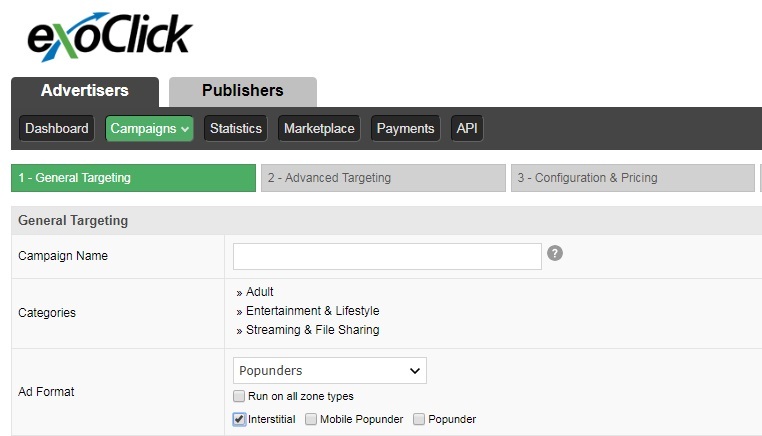 Select ‘Popunders’ as the ad format, uncheck ‘Run on all zone types’ which reveals 3 tick boxes underneath. Select the ‘Interstitial’ tick box.